We start from Aqualand’s car park in Las Americas and head to Teide National Park. Then we follow the coastal road leading up to Los Gigantes where we change direction to Guía de Isora, then Chio and arrive to the famous Mirador De Las Cañadas Del Teide where you can contemplate the summit of the volcano from its idyllic valley of lava flow. During this 20 minutes break, customers can have refreshments if they want to (not included in price), take photos, or simply enjoy the pure fresh air at 2200m of altitude. Following that, we drive to Angola Bodega (vineyard) where you have a taste of their home brewed wine and have a Canarian snack (included in the price). Finally we head back to Las Americas, and thanks to a long downhill descent, we will enjoy the panoramic views over the gorgeous coastline. 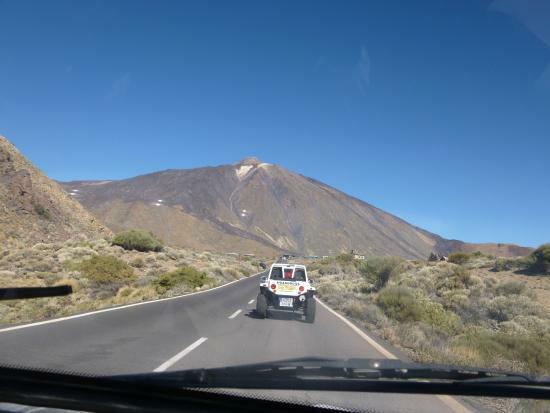 The TEIDE TOUR Buggy Trip took place daily, the time will be specified in your ticket. 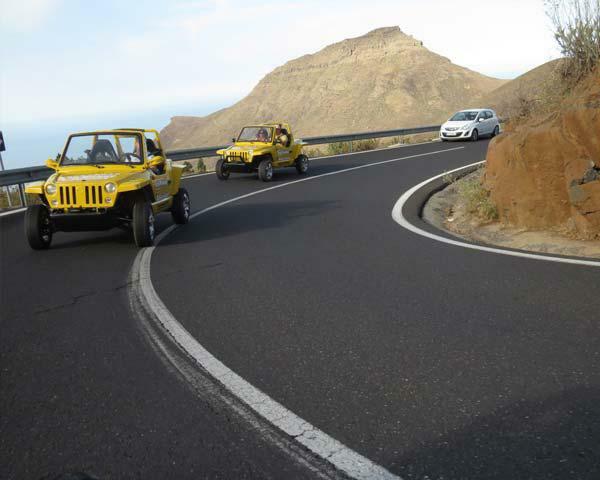 In order to make your booking of TEIDE TOUR Buggy Fun Tour in Tenerife easy and comfortable Tenerife Host use the most advanced and user friendly booking platform TripsPoint.com where you can easily check last actual prices, the tour availability, required booking deposit and book this tour. 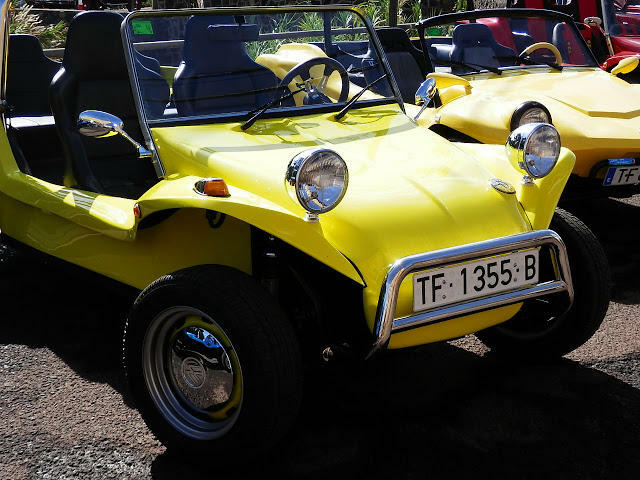 To get more information of TEIDE TOUR Buggy Fun Tour in Tenerife and do booking, please, click the button ‘Book Now’. You will be taken to the tour page at TripsPoint.com where you can easily book the tour. 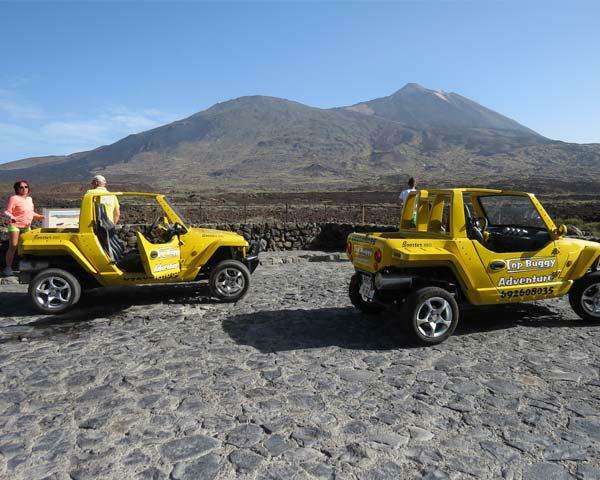 Once the booking of TEIDE TOUR Buggy Fun Tour in Tenerife made at TripsPoint you will get your tour Voucher / booking confirmation with all details, including exact pick-up point, pick-up time, pick-up point map.